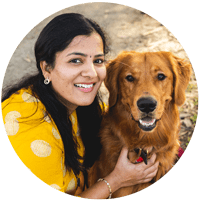 Pulusu is a distant cousin of the Tamil Nadu’s puli kuzhambu. It also reminded me of the Gojju. :-) I simply love the fact that how these cuisines are intertwined. For pulusu, we don’t use sambar podi. Instead, we use red chili powder. 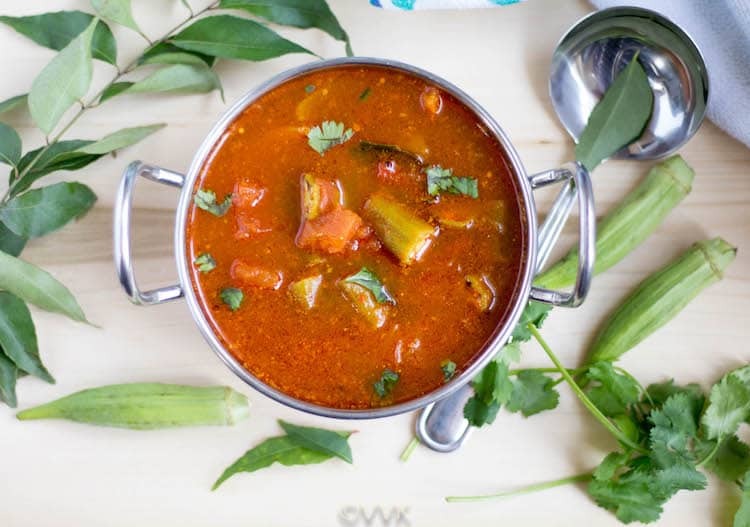 You can prepare pulusu with veggies like shallots, brinjals, okra, bottle gourd, but my first preference would be okra. :-) IMO Okra in puli kuzhambu and pulusu and gojju is a combo made in heaven. 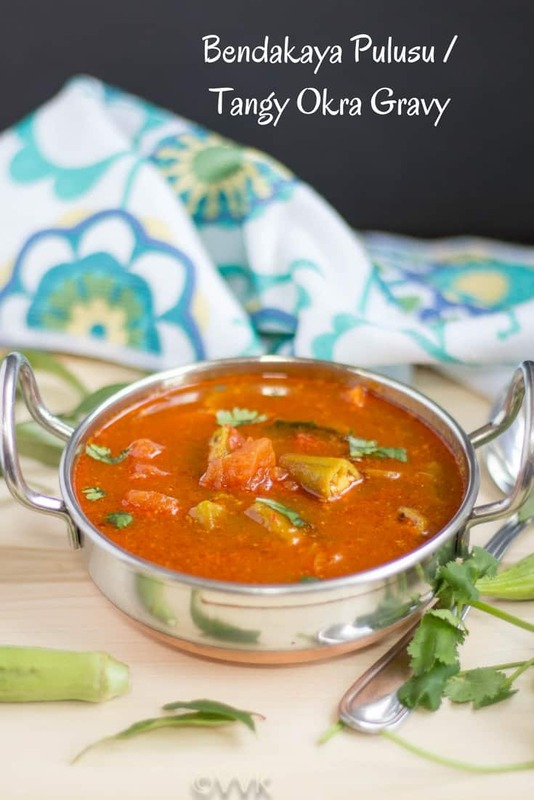 The sticky vegetable when soaked in the spicy and tangy gravy tastes heavenly. 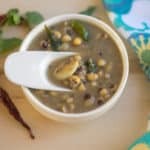 My friend SL shared this recipe with me, and then the recipe got evolved as per our liking. 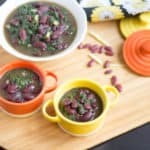 We liked the addition of grated ginger in this recipe. Ginger along with jaggery adds a unique flavor to this pulusu. Onions are optional here. 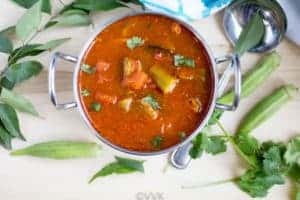 You can completely skip the onion and prepare this as a no onion no garlic version or include both onion and garlic along with okra. 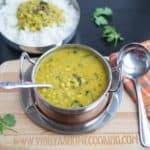 I love pulusu with mudda pappu (cooked toor dal or tovve as we say in kannada) and ghee. Add some fryums to this combo, and I can assure you that you would go wow. If using tamarind paste, dilute the tamarind in 1 cup of water and set aside. If using tamarind, soak it in water for at least 30 minutes and extract about 1 cup of juice. Chop the onion, tomato, and okra and set aside. 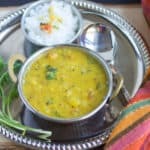 Once the oil is hot, add the mustard seeds, methi seeds, urad dal, and hing. As they start to splutter, add the onion, curry leaves and cook until the onions turn translucent. Then add the grated ginger and cook for a couple of minutes. At this stage add the chopped okra and cook for two minutes. Then add the chopped tomato, salt, and red chili powder. Let this okra and tomato mix cook well until the okra is tender and soft. Now add the tamarind extract + water (1.5 cups) and jaggery. Mix and let ti simmer for 7 to 10 minutes, and that’s it. Yummy pulusu is ready. Serve hot with rice. You can replace okra with brinjal, bottle gourd or veggie of your choice. I did not add any garlic, but garlic can be included too. Grated ginger and jaggery are optional. I did not add any turmeric powder, hence the fiery red color. :-) 1/4 tsp of turmeric powder can be included. If you skip tomatoes, increase the amount of tamarind. 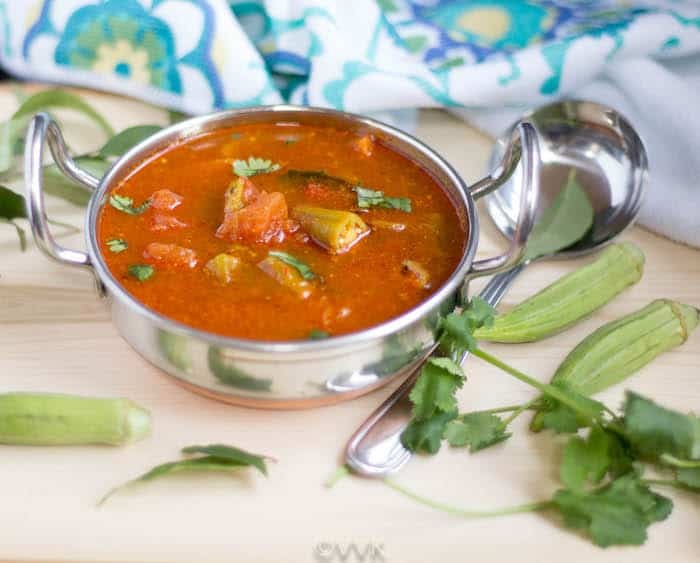 Bendakaya Pulusu - Andhra Style Tangy and spicy gravy prepared with okra. 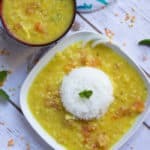 This pulusu is a perfect rice accompaniment. Mix and let ti simmer for 7 to 10 minutes, and that's it. Adjust the water to your desired consistency. I loooooove Pulusu :) I used fuss a lot when amma made it with Okra, still dont like it much. But otherwise, loooove Pulusu. We dont add onions, tomatoes and ginger but instead add a thin mixture of water and rice flour. ha ha I think I am the other way round. Love okra in gojju, puli kuzhambu and in pulusu too. My friend mentioned there are zillion ways to prepare this pulusu. We liked this combo and posted the same. Thanks for sharing your version.